Gary Johnson: former governor, presidential candidate, and ... pot entrepreneur? Cannabis Sativa Inc., a Nevada-based firm, announced Tuesday that Johsnon was named its CEO and president, Albuquerque, N.M., CBS affiliate KRQE reports. 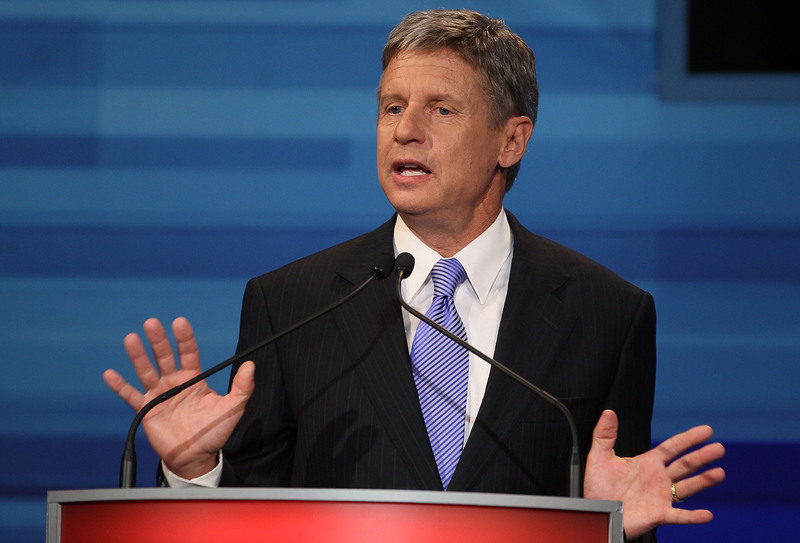 Johnson, the former Republican governor of New Mexico and the 2012 presidential nominee for the Libertarian Party, has long been an advocate for legalizing marijuana. But now, as the head of a company that plans to market and sell recreational marijuana products, he's quite literally putting his money where his mouth is. Though not that much money, at least not at first. "I'm getting paid $1 a year to be president and CEO of this company, but I am getting stock so the only way I make money is if shareholders make money," Johnson said. The company will make marijuana-based oils that have shown promise in treating people with certain illnesses, like children with epilepsy, Johnson said. It will also market a cough drop-like candy derived from marijuana that provides what Johnson called a pleasant alternative to smoking the drug. "I have a real aversion to smoking marijuana, I think most people have an aversion to smoking, period," Johnson said. "I've tried the product and my reaction is, number one, why would anybody ever smoke marijuana given this as an alternative?" Marijuana remains illegal under federal law, but 22 states and the District of Columbia have legalized the drug for medical use, and two - Washington state and Colorado - recently legalized the drug for recreational use. Johnson said the company is still working to determine what limits the federal prohibition will impose on its business. The company plans to operate out of New Mexico and market its products primarily in those two states where the drug is fully legal, but Johnson said he sees plenty of room for growth. "I think in 10 years, for the most part, the U.S. will legalize marijuana," he told the Associated Press. "And what the U.S. does, so does the world."